Quite possibly the best piece of music ever created. Even better live with brass and string sections. weirdly fits with my desperation dealing with my mother's decent into Alzheimer's dementia. ok, not "weirdly" as RP is the the song track of my life. Totally agree with RP having become the "soundtrack of my Life", and am sadly understanding of that horror and weirdness of watching my mother disappear into Alzheimers. In her case, Early Onset - began at 58 (my age now) and "gone" by 63, yet another 11 years to die. My heart goes out to you @sonicsurfer. Weird and compelling. Thanks for playing. So powerful hearing this live in concert. DAMMIT !!!! PSD IS NOT WORKING !!!!!!!!! I love this whole album, thanks for playing. Wow that was really painful! Rather get a root canal then listen to the end of this song again!!! For me the first couple minutes were frustrating, but after that it was all amazing. At first I wondered why I had previously rated it as high as 8, and then I wondered why I hadn't rated it a 9 or 10. 12 minutes of puzzlement, amazement and eventually, delight. Had to use Shazaam to find the name since I was listening to a very old cd that I burned while listening to RP. I think the non-English vocals add to the flavor. Once of the best crescendos ever. Good job of finding this, Bill. 10 with no doubts for this masterpiece full of beauty. I just played this at home and I thought, "That was tremendous, I wonder what kind of comments it got on RP." I was surprised and a little saddened to read so many negative comments. So I asked my daughter what she thought. "Good" she says. She's 5, and clearly knows what she's talking about! Agreed. May have to reach for the credit card and Amazon.ca. The wife—a linguist—says that they sing in an Artificial Language. They do sing in an artificial language. Hauntingly beautiful. Probably the most interesting band to look out a window pane in a very long time. more sigur ros please! Of course I have no idea what this guy is ever saying, but I can't think of anyone who knows how to build drama in a song better than this guy. Whenever I hear howling cats I think of this song. Much better than the new album, I'm glad this is getting play as well. - Hey listen, I got another melody line that I think is quite catchy. - Ok, see, if we can make up some text in that uncomprehensive fake language of ours to that. - Yeah, how about "aaaaaahh eeeeeeeh"? - Hey, that's good! Now for the second line ... umm. - Why don't we sing the first line again? I think those are very strong lyrics. - Yeah! Cool! And for third? - Umm, oh sod it. i saw this performed a few weeks ago in the middle of gorgeous theatre in the midst of tornado. beyond beautiful. pretty much everyone in the audience had to fight back tears at least once during the show. - Hey listen, I got another melody line that I think is quite catchy. - Ok, see, if we can make up some text in that uncomprehensive fake language of ours to that. - Yeah, how about: "aaaaaahh eeeeeeeh"? - Hey, that's good! Now for the second line ... umm. - ... umm ... - Why don't we sing the first line again? I think those are very strong lyrics. - Yeah! Cool! And for third? - Umm, oh sod it. Interesting musical progression: Insipid ---> repetitive ---> annoying ---> headache inducing ---> turn off my speakers before I throw them out the freaking window. I am finding myself having similar reactions to this band. I had this rated at 8--God only knows why--now down to 2. Sounds like a cat in heat. That was good............ I too want to know about this band!! WOW, WOW,WOW!!! That was great, love that track. Does anyone know anything about this album? I have, and Sigur Ros is amazing live. Don't miss them if you get the chance. Anyone have another lame cat joke? If this is what Scandanavians listen to, no wonder they're depressed! One of my favorite songs in the world. Absolutely thunderous live. Sugar my RIOS! Ohhh baby! Cat in heat getting some! Every time before they perform this live they have to go to the animal shelter and get a new cat. Ick! edit: That was terrible! Wilco gone bad, which is redundant, come to think of it. Wilco gone badder. Beautiful and hypnotic, but that's just me. Not just you: I like to think of myself as "beautiful and hypnotic", too. Will someone please leave that cat alone!?! Are there so many RP listeners who have a "buffer overrun" when listening to an elaborated piece of art longer than 3 minutes? If you let yourself free you can meditate in a finale furioso and can wake up repowered. Thx Bill! I can recognize that I would normally hate this song, but at 10am Sunny Saturday morning in Seattle reading about wine with the windows open it is just perfect; 7. I really like SR, but admit it's a mood thing. Great when I'm in the mood, not so much when I'm not. Today, it works!! Agreed. First listen, gave it a 1. Today, second listen, bumped it to 7. Sounds nice and radioheadish today. Why are the worst songs also the longest?? Boy, that went on and on and on and on and on and on and on and on . . .
:yawn: 9:30 am. Traying to get the work day started. This DOES NOT help! Ugh! ---- 5 minutes later... Cheezum Cripes! Is this the longest "song" in Paradise's repertoire? Good thing I can already see there's Beatles coming to save the morning. Is this song Bill's way of showing us what purgatory is like, if we don't keep up with the memeber's contributions!? YAAARGH! You sound just like my Dad. In 1968. It has to be almost over. It just has to be.. This actually compelled me off of the couch to see who this was. Awesome stuff. I think you either 'get' this music or you 'don't'. Disappointed to see that so many RP listeners 'don't'. I like this group, but I have to admit their sound is more northern winterlands than southern California. absolute crap. Worse than" My Morning Jacket". RP gets muted for the first time. Well it's 10 pm now here in Germany - a better fitting time for this. Too long? This track evolves perfectly, it couldn't be any second shorter. I'm melting every time I hear it. :jump: P.S. : Rated 6.2 after >550 votes. Seems that those appreciating it just enjoy instead of typing polemic remarks? Sounds like a bunch of banging noise, nothing else. The drumming is excellent, but the melody gets annoying. Is that... "tortilla" I hear? ...think I recall this song from the "Alvin & The Chipmunks Go To Hell" soundtrak. Icelandic version of Floyd's 'Echoes'...I don't know what that means...but I just said it, so there. Any connection to Morning Jacket? There are so many wonderful long pieces by real musicians that could be played. This untitled thing is to music what Merce Cunningham is to dance: overrated, impossible to understand, darling of the doyens of esoterica, and interminable wholesale bull-bleep. A guy in my office turned me on to this band. I burned a CD of theirs, headed off to my car, drove up north a 100 miles or so and really, really had to change this disc after about fifty miles. It almost put me to sleep, almost put me under that tracker trailer truck. Thank God I had some Wilco in the car! Tweedy saved my day (and my life, no doubt). This song is too self absorbed. Guess they figgered they needed something to do during the endless Icelandic winters so why not play a song. I agree, GOD, MAKE IT STOP. This song never ends. Sounds like a bunch of banging noise, nothing else. My god, make it stop. I originally rated it a two but by the end of the "song" it was a 1. I'd go lower if I could. Blah. Seven minutes and counting - I'm with you. Sounds like the scary music played at Halloween to scare trick-or-treaters. 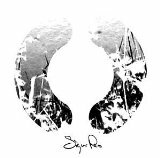 I like Sigur Ros, but find many of their songs too long to hold my interest. I once heard this genre described as "Space Rock" A favorite on this CD remains track 4 (a.k.a. njÃ³snavÃ©lin / the nothing song) which was featured in Vanilla Sky. Love it! They are excellent in concert as well! :drummer: :guitarist: :war: Pure Genius!! This band Rocks! This track, among others is (or was, as of not too long ago) available for free on their web site. A very interesting, creative band. this song is getting on my nerves. First lowered the volume, then switched it off completely. Aaaahhhh... silence can sound so good - I give silence a 10, where can I do that? I suppose I should be a good wife and tell my husband about this band because I bet he'd love them. But then I'd have to listen to their music and no good could come of that, so I think I'll just keep it my little (horrible) secret. In this case to-ma-to, to-mah-to. clearly, glockman was being facetious about wanting the lyrics. Sigur Ros/ Sugar Ray/ Shivaree. Any connection? Huh? HUH?? Pretentious, self-absorbed, and really not all that good. Please make it stop!!! Holy Moley - and I thought the Allman Bros. didn't know how to end a song. :roflol: I'm kinda enjoying this song/experience... but that's f'n funny. Do you get a free bowl of soup with this album? It sounds good to YOU, though. can't seem to find the lyrics......anyone?